I started off playing drums and in my first band the guitarist taught me how to play a few chords on the guitar which I'd always wanted to do, so for many years all I could wait to do was pick up the guitar and the drums eventually faded away. So we're looking for a vocalist who'd like to sing and record an album's worth of good quality pop/rock songs. 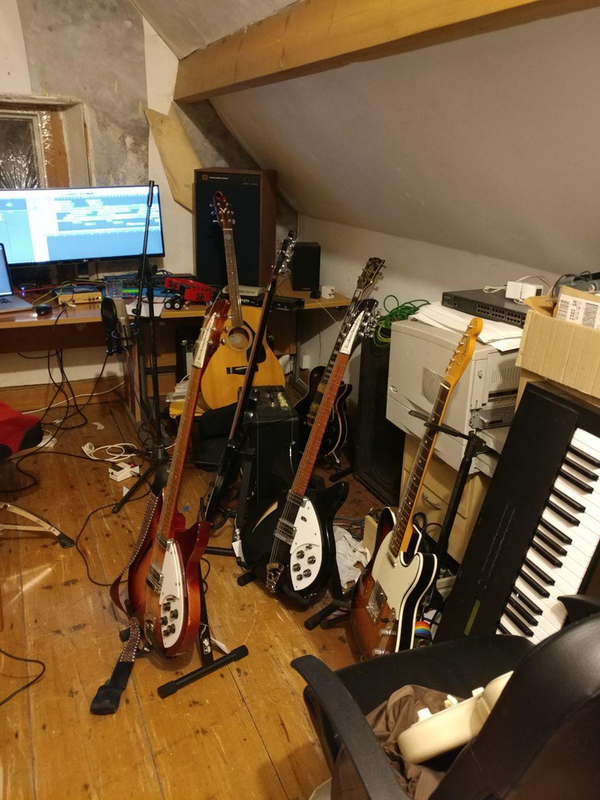 This latest batch of songs are [lyrically] more male orientated than my usual songs, so although I love female vocalists and have mainly worked with them in the past, I think we're looking for a bloke this time. The plan is for me to play drums and guitar, we have a fabulous bassist who has agreed to play with us and Dave'll do guitars and keyboards. I've also done semi-pro studio engineering in the past. As far as guitar playing is concerned, Peter Buck is definitely influential. I fell in love with, on first hearing, Lifes Rich Pageant, and you can clearly hear that in my playing. I'm no more than average at lead guitar, but I can jangle! Drums-wise Pick Withers, Terry Chambers and Steven Irvine all spring to mind. Songwriting-wise I am hugely influenced by Andy Partridge, especially his amazing lyrics. 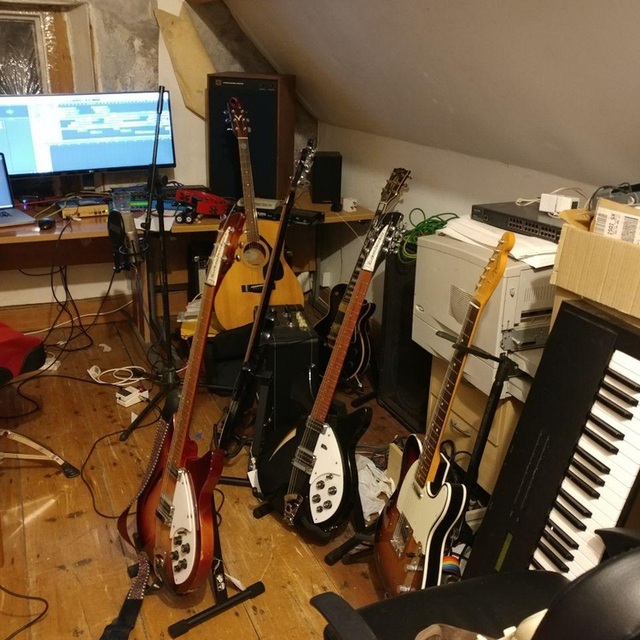 Lloyd Cole, REM, Townshend all made me want to write as well, but really no-one has affected or influenced me more than my friend and long time collaborator Dave Falconer who will be playing guiotar and keyboards with whatever we get off the ground. Rickenbacker 330 6 and 12 string. Les Paul Custom, Japanese 62 Tele reissue, Rickenbacker 4001 5-String bass (inherited) and my Yamaha FG410 which is a beauty I just had refretted. A Gibbo 335 is on my want list for the nearish future. I've got a set of Roland v-Drums which with Logic's sounds are amazingly good. My acoustic kit went a while ago, but we could borrow a kit if we wanted for recording. Recording-wise although we do have a 24-track analogue machine and an Amek Einstein, our outboard gear isn't as good as it once was, so we'll record on Logic. Between us we have a very good collection of mics and mic amps. Quality of recording we get is high.